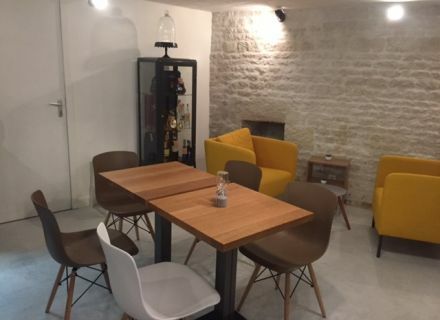 Home / Le blog / The delicatessen of Niort returns to us with a new very trendy concept! 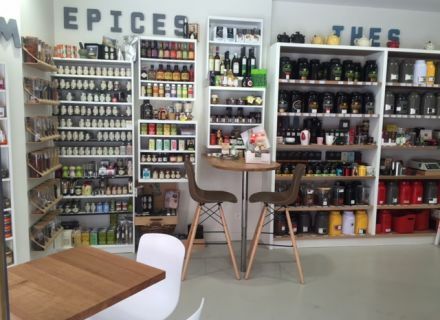 The delicatessen of Niort returns to us with a new very trendy concept! In this unpublished number, I was not able to resist the desire to share you my visit with the delicatessen of the city center of Niort. I went in this atypical and warm place based in 2002 by Vanessa, the manager. Here are represented the biggest names of the delicatessen (Exotic Earth, Olivier and Co …). We find all there that we wish whether it is to offer or for oneself. Let try by the smells and the tempting flavors of spices and teas of the world, they are divine! 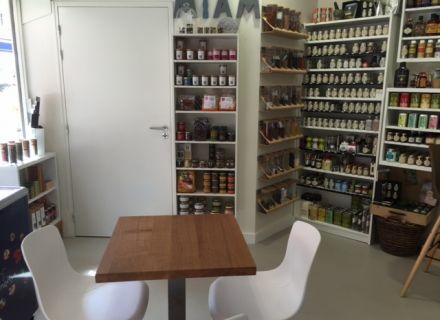 Do not miss to have a quick look at products regional as stuffed inhabitant of Poitou, traditional white beans or the liqueur with angelica, it is inescapable. This is when fourteen years later, in June, 2016 exactly, than Vanessa decided to bring a touch of originality to her grocer's shop by creating a real tearoom inside with a corner tasting opened to the continuous customers. At lunch time, Vanessa proposes you sandwiches and salads summits house with fresh products (Basque salad, salad stinks) flavored in perfumed oil. I advise you to taste her salads, it is a delight for our papillae! When the beautiful days come, only or accompanied, do not hesitate to take advantage of the fitted out terrace which can welcome up to 15 people. Very pleasant when the sun appears. The truth more for this atypical place. Indeed, while entering the grocer's shop I noticed that there was a staircase leading to the basement! By coming down, it is in astonishment that we discover an uncluttered and cosy space with tables and sofas in which we can eat or take the tea surrounded with his friends. 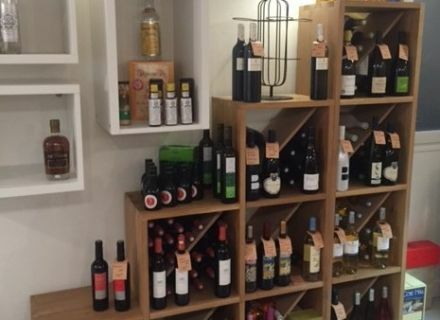 Do not miss to taste delicious wine bottles, alcohol or liqueurs there! * and when the cold will come, the cellar will be transformed into a showroom of Christmas or we can drink to it good hot chocolates to warm itself, I look forward to being there! 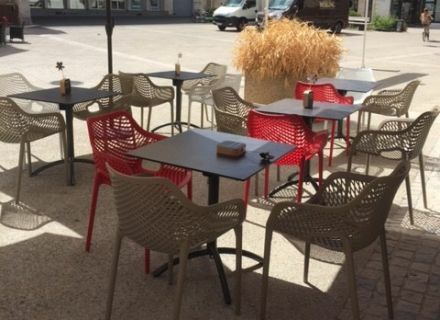 The delicatessen of Niort, it is a friendly and welcoming place where he makes well relax during a lunch break or a break there taste! If you wish too to go to the delicatessen, know that Vanessa and Johanna welcomes you Square of the Temple, from Tuesday to Saturday, from 9:30 am till 7 pm, continuously. *The alcohol abuse is dangerous for the health.